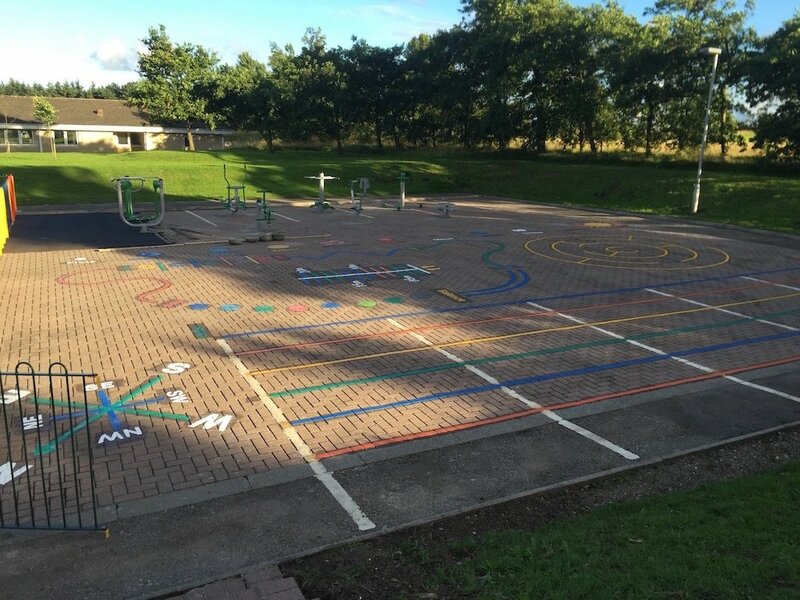 Our playground markings don’t have to be installed on to tarmac, we install markings onto multiple surfaces, including flagstones and pavers. 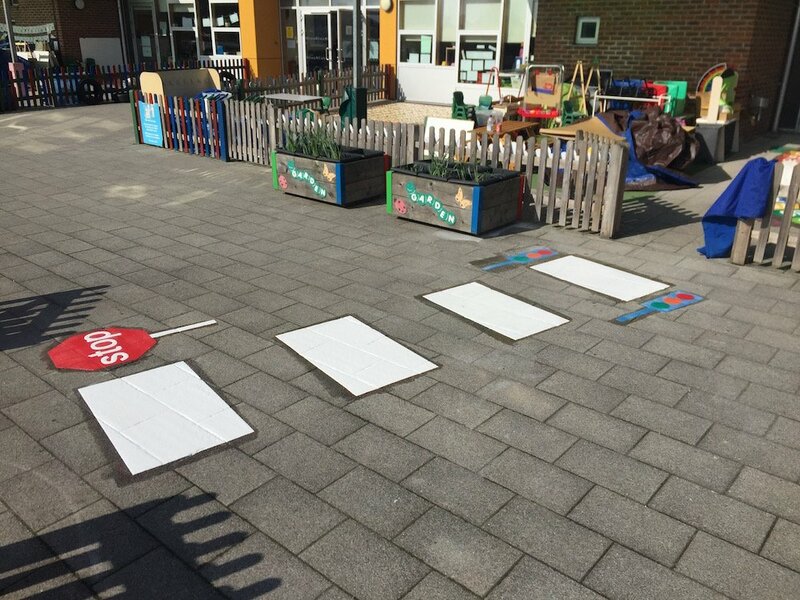 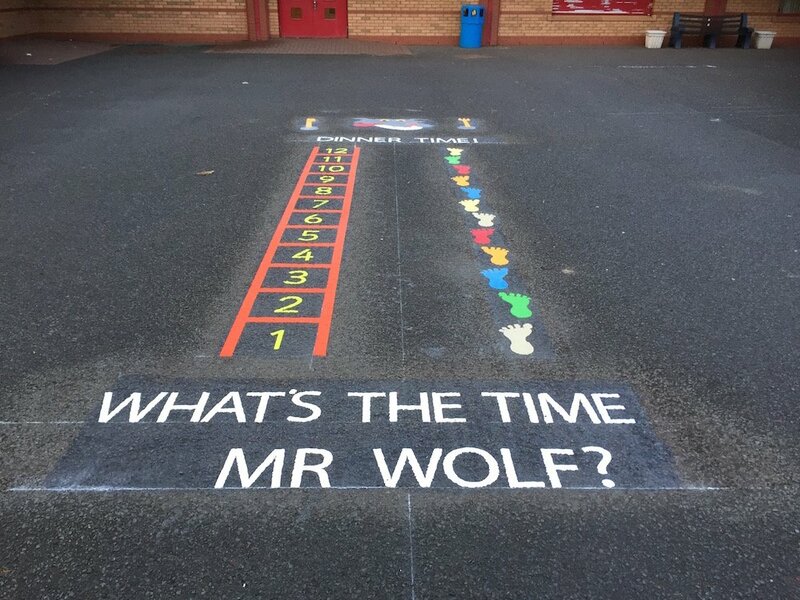 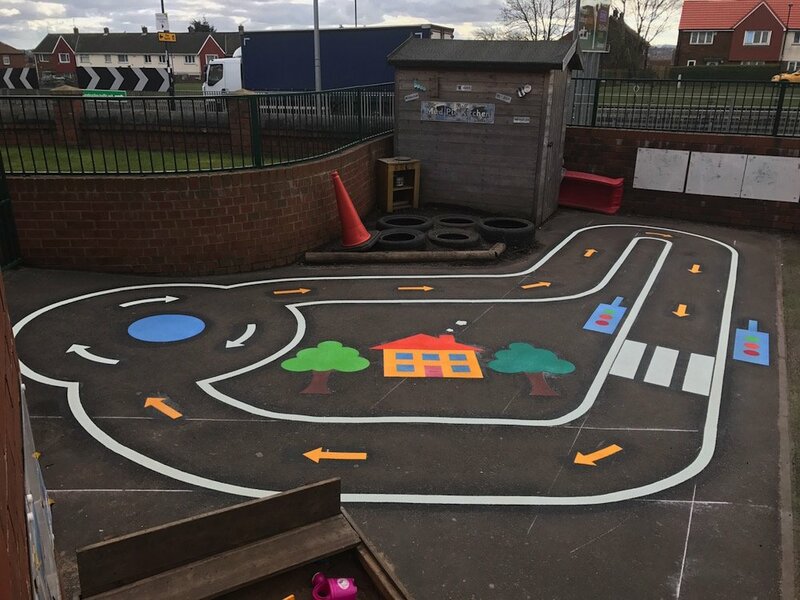 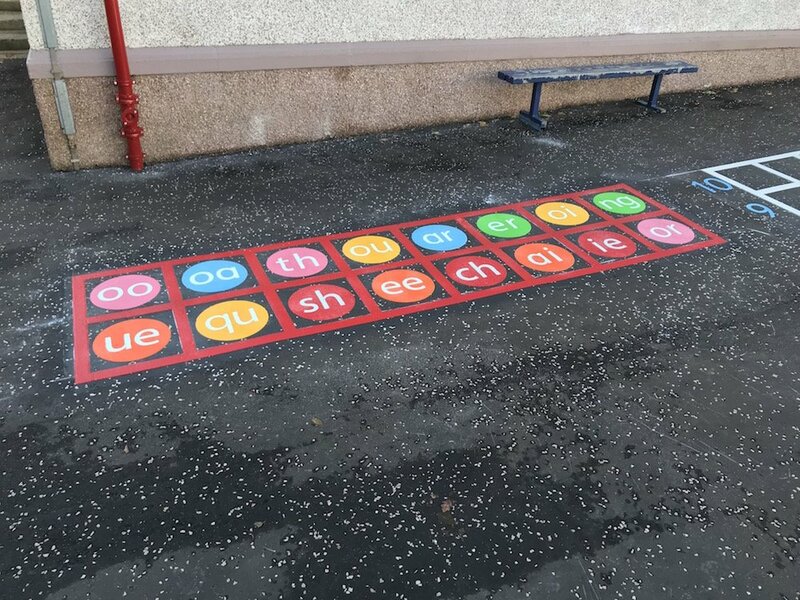 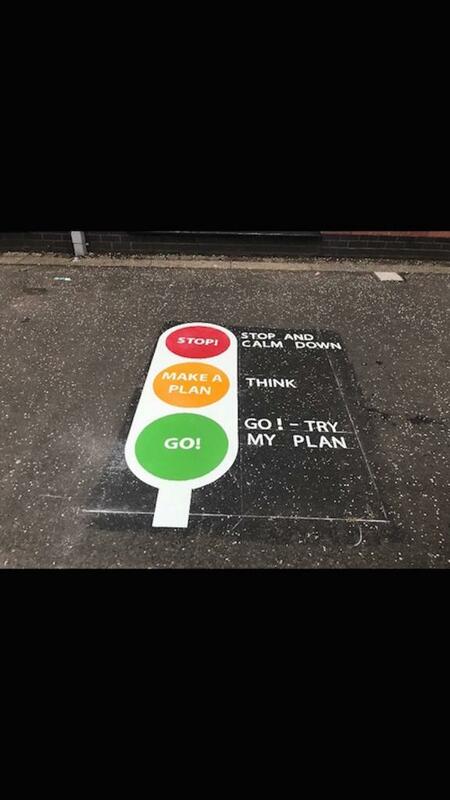 This is achieved by priming the designated area with a resin bonding agent, this means we can install playground markings onto any non combustable outdoor surface. 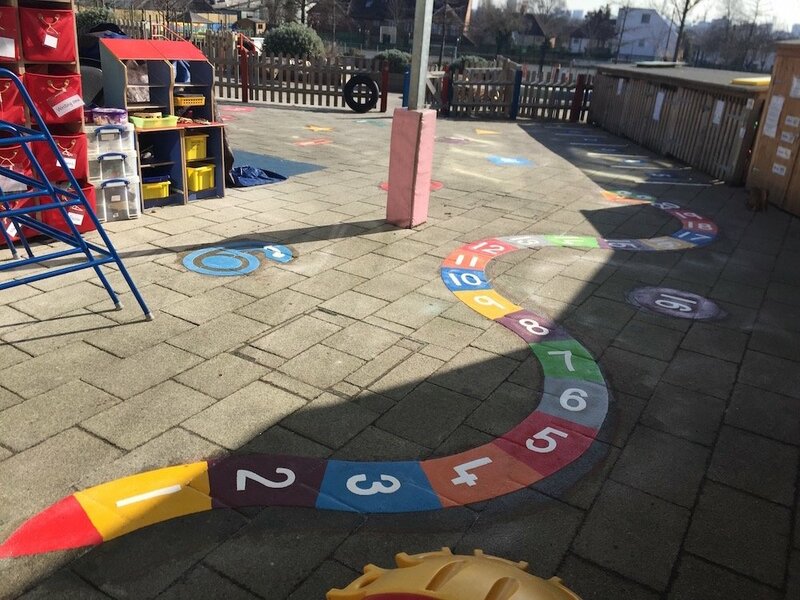 The resin bonding agent will weather away and after a couple of weeks can no longer be seen. 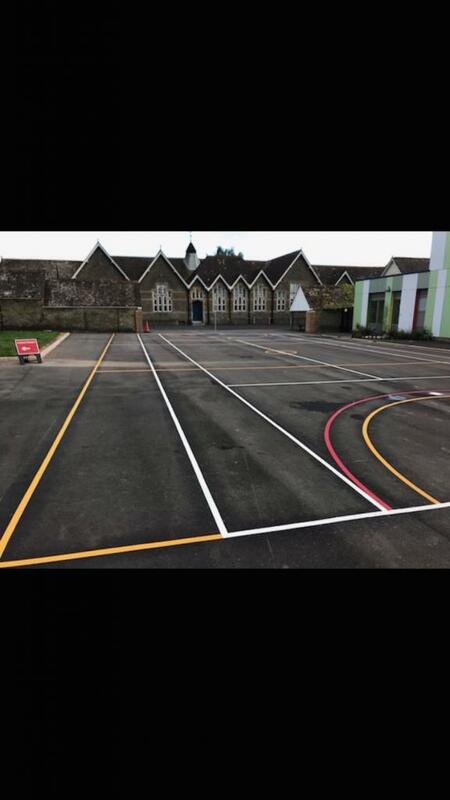 This is an example of a school with a block paving yard and a full playground marking installation was carried out. 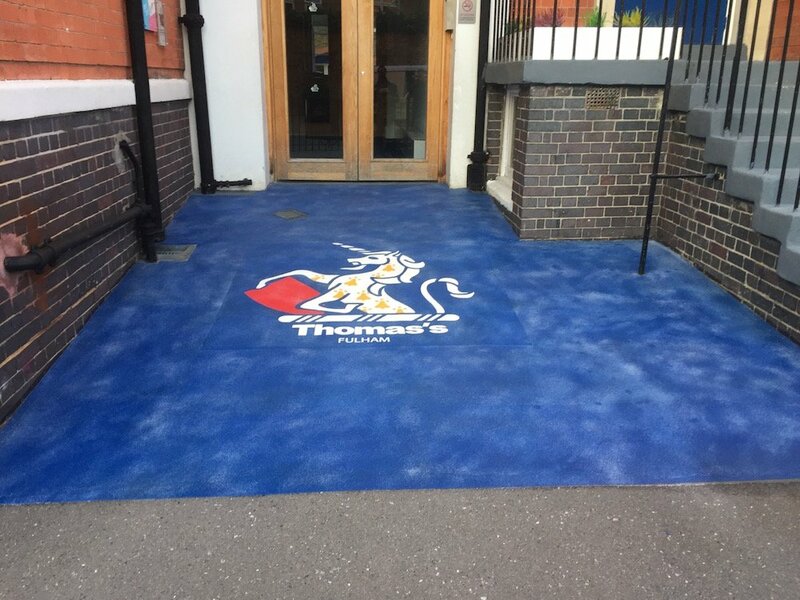 This Zebra Crossing on these Flagstones looks great. 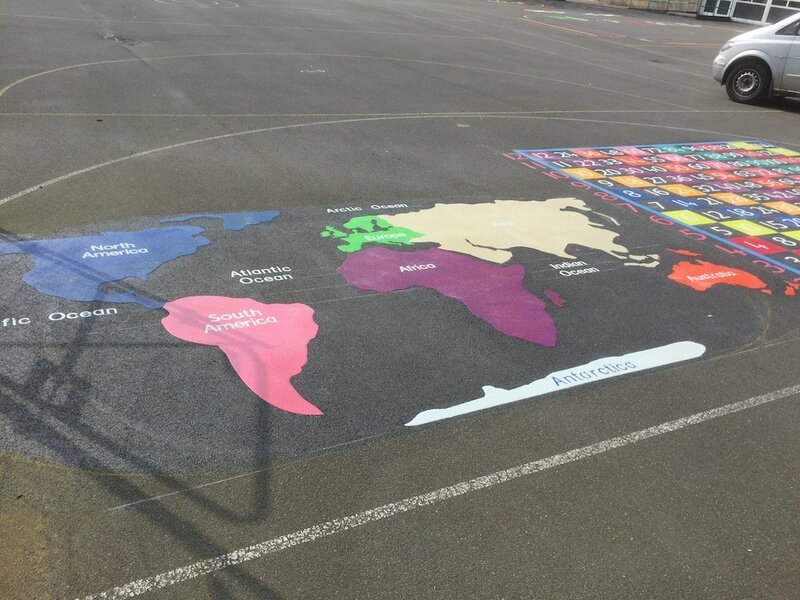 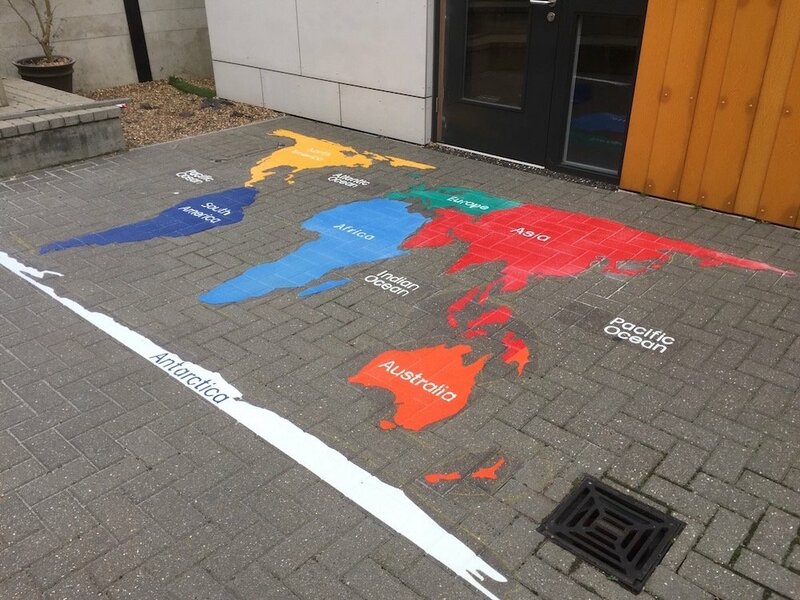 This World map was installed into a school in London. 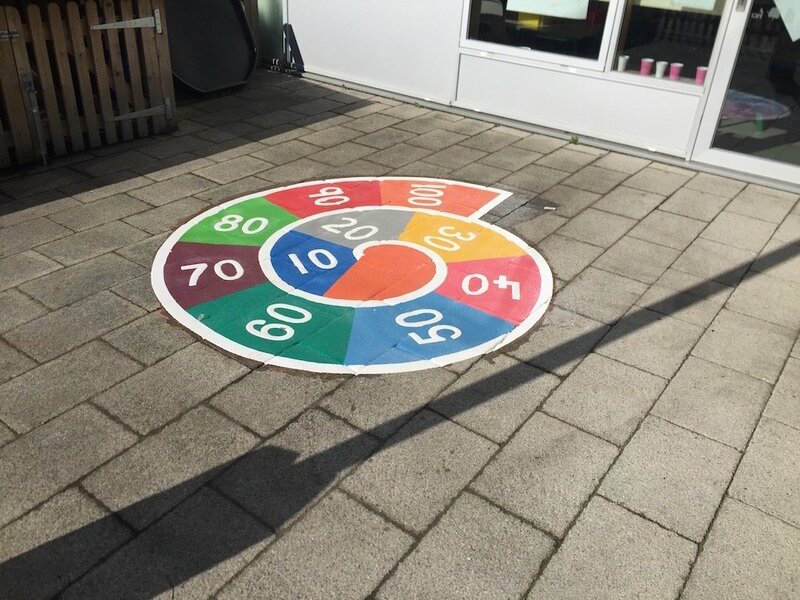 Large surface area markings can also be installed like this 10 x Table Spiral. 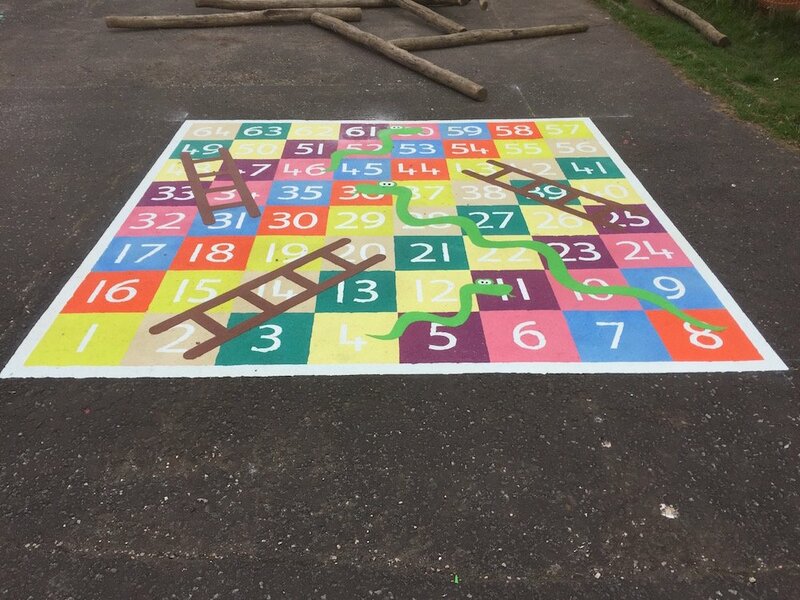 1-20 Snake installed onto Flagstones.